Not all sets of arba minim on the market are kosher. You can check with your rabbi or just place your order here! 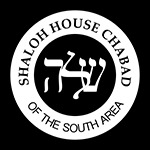 Orders can be picked up at Shaloh House from Wednesday, September 27 and on.